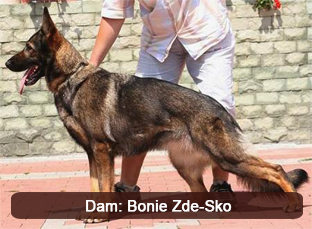 Moka Câini de Politie is the daughter of Panter Aritar Bastet and Bonie Zde-Sko. 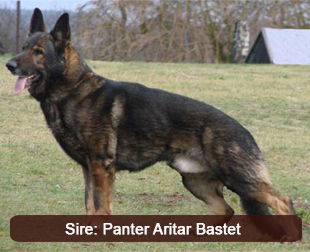 Moka strongly resembles her sire’s features and temperament which we find extremely desirable as Panter is one of our most treasured studs. Moka has an imposing frame that can be described as large, she also has a rich pigmentation, dark eyes, a strong head and bones that are complemented by strong character that’s all too telling about her ancestry. 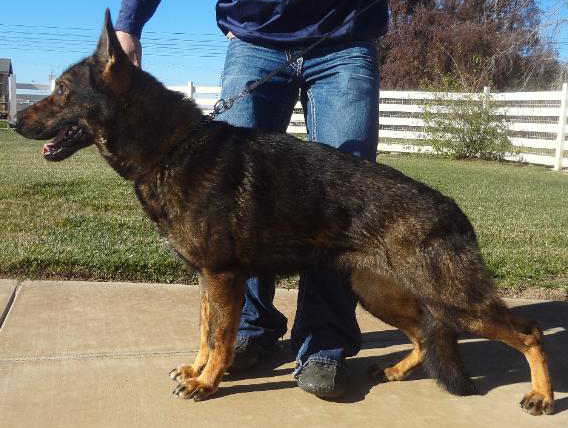 Moka exhibits extreme territoriality and healthy aggression that proves it’s worth when she engages the decoy, she’s a hard dog that will die before she gives up that also happens to extremely loyal and affectionate to her family/pack. Moka’s drives are high and she seems to have energy that never yields nor ends, she’s neutral to strangers due to our socializing her at a young age. 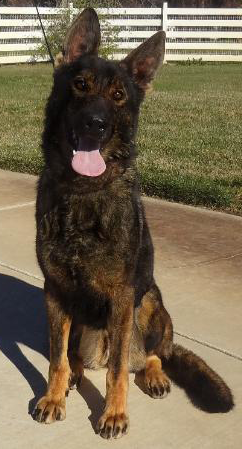 We look onto Moka to produce dogs that will be top competitors in competitions and produce dogs that will be well suited in the law enforcement field.